Americans generate more waste than any other country in the world but recycle far less than other developed nations. 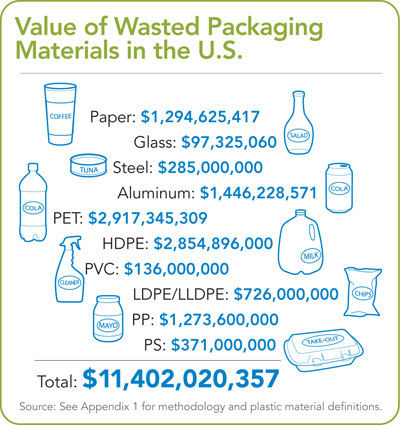 Post-consumer packaging materials comprise the largest category of solid waste, and U.S. taxpayers pay for its management. 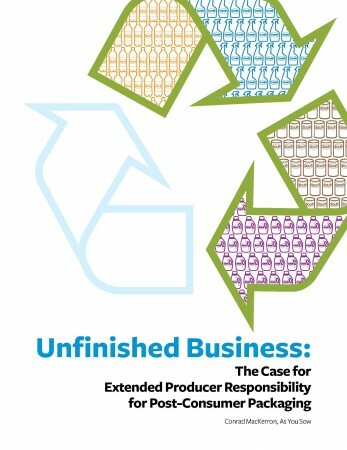 Extended producer responsibility, or EPR, shifts the responsibility for post-consumer waste from taxpayers and municipal governments to the companies that produce the packaging, creating incentives for producers to reduce the amount of packaging they create, increasing packaging recycling rates, providing revenue to improve recycling systems, and reducing carbon and energy use. This report supports As You Sow’s pioneering Waste program, which engages major consumer goods, beverage, and electronics companies on sustainable product design and recycling.